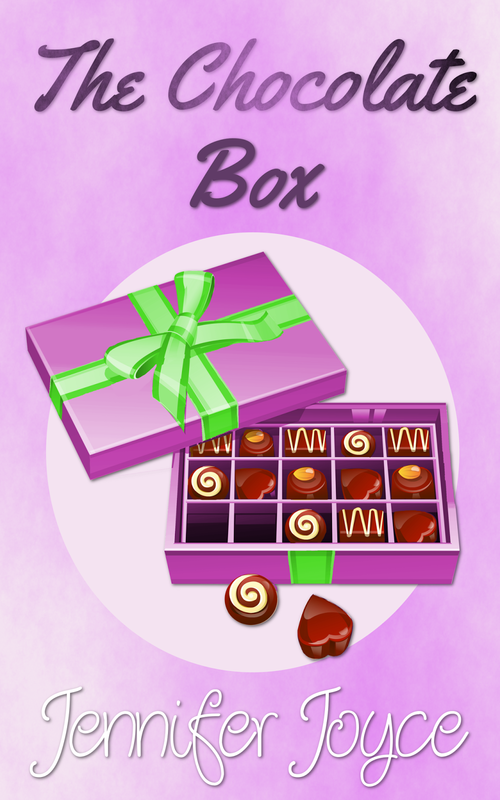 As it's almost Easter, I thought I would write a chocolate-themed short story and give away a load of chocolate (yes, you may call me the Easter bunny). Kat Reese’s morning was not going well. Her hair wouldn’t stay secured in its bun, the toaster had decided to pack in mid-toast and she had a ladder in her only clean pair of tights (one day Kat may be organised enough to stick a load of washing in the machine before she runs out of clothes, but that day wasn’t near). But Kat didn’t have time to rectify any of these things. She was currently flinging open her front door, preparing to leap over the doorstep as she called a hasty goodbye to her housemate. ‘The toaster’s broken and there’s no milk.’ There wasn’t any cereal either. Or tea bags, and Kat was pretty sure she’d used the last of the sugar last night. Steph was not going to be a happy bunny that morning, especially as it had been Kat’s turn to shop (she’d forgotten, ok? Nobody’s perfect). Kat turned away from the sound of an irate Steph as her feet left the ground. She was a gazelle, flying gracefully through the air, soaring in a beautifully executed arc. But then she was distracted by an object sitting on the doorstep and she landed awkwardly, twisting her ankle upon impact. ‘Ouch.’ Kat limped back towards the step. She was running late for work, but curiosity won and she scooped up the exquisitely wrapped rectangular box. The purple paper was thick and gleamed in the weak morning sun, the thick organza ribbon and bow a contrasting lime green. Kat was about to push the door open again and cheer Steph up with the news that she had a surprise gift – because it would be for Steph. This sort of thing always happened to her – when she spotted the label. She lifted it, her brow creasing as she read. For Kat? For her? But why? It wasn’t her birthday (neither was it Steph’s birthday, but as previously stated, this sort of thing always happened to her). It wasn’t April Fool’s Day, was it? ‘For me?’ Kat didn’t understand what was happening – was the gift a hoax? Some kind of mix up? – but she didn’t have time to dwell. Flinging the box under her arm, she scurried out of the small garden, wincing with each step as pain shot through her ankle. The pain had almost receded by the time she reached the village green and pushed her way into The Green Teapot. ‘Sorry I’m late. Bad morning. Hello Mrs Freeman. How’s your Arthur’s back? Still playing up?’ Kat dashed across the tea room, only wincing very slightly now, and dumped the rectangular box on the counter en route to the tiny cloak room. She’d pushed a couple of stray grips from her handbag into her hair by the time she returned, so she looked almost presentable. ‘What’s this then?’ Enid Thomas, owner of The Green Teapot and Kat’s boss, was standing at the counter, head cocked towards the rectangular box. ‘Erm, me. I suppose.’ Kat grabbed a cloth and moved over to a table by the window. She knew it didn’t need wiping down, but it gave her something to do and meant she didn’t have to flash her reddened cheeks at anybody. ‘Don’t be daft.’ Kat wasn’t the sort of girl who had admirers, secret or otherwise. Her last relationship ended almost two years ago and she hadn’t had a sniff of another since. ‘I’m not being daft.’ Enid wished Kat would take a bloody good look in the mirror and see how lovely she was. In fact, she wished the girl would get out more so potential suitors could see how lovely she was too. Kat wasn’t going to meet a nice chap serving tea and cake to pensioners in the village’s tea room, was she? Or maybe she was, judging by the mysterious gift. ‘Do I have to?’ Kat stopped wiping down the table by the window, fearing she’d create a hole in the middle if she continued to scrub unnecessarily. ‘Yes!’ Of course she had to open the gift. Enid was dying to know what was inside. ‘She’s right. It’ll be all round the village that you’ve got a man on the go if you don’t get it open quickly.’ Enid pounced on the parcel and shoved it at Kat, fingers itching to undo the bow herself. ‘Well?’ Mrs Freeman’s rickety legs suddenly took on a Usain Bolt quality as she rushed across the tea room to peer down at the box through her thick glasses. Who would send Kat expensive chocolates? Or any chocolates at all? Her last relationship had dented her confidence so much (being told you’re fat, ugly and stupid on a daily basis will do that to you) that she barely left the house these days. Ted Grayson had pinched her bottom the other day as she bent down to pick up his dropped changed (which, in hindsight, was not accidental, the mucky old git), but he wouldn’t go to all this trouble or expense. Kat lifted the lid to reveal row upon row of luxury chocolates, each a perfect square enclosed in its own plum-coloured paper case. The chocolates were decorated with golden floral patterns, black and white swirls and lime green and purple geometric shapes. Kat had never seen anything like it. The closest she’d ever got to luxury chocolates was a giant tin of Roses at Christmas. ‘Oh no, love. They’re yours,’ Enid said. Mrs Freeman had already stuffed one into her mouth. ‘I can’t eat them all to myself.’ See, Kat wasn’t a greedy pig with no self-control. Where was her ex when she needed to prove him wrong? ‘I don’t think I’ve had one of those.’ Mrs Freeman stooped to take a look in the box but her fingers paused mid-air at the frosty look Enid shot at her. ‘But I’m pretty full.’ Losing interest, Mrs Freeman wandered back to her table where she slurped her tea and tried not to sneak longing looks at the chocolate box. So it was back to the drawing board then. Enid and Mrs Freeman threw a few ideas around while Kat wondered if crawling into the refrigerated display counter would eventually freeze her to death, which would be preferable to this conversation. Kat’s cheeks were on fire. She really should climb into the refrigerated counter. ‘I can’t remember.’ Kat could remember. She could remember everything about Mavis Butterworth’s great-nephew, from his name (Spencer), to his job (builder, mostly new-builds, but able to turn his hand to most plumbing and electrical jobs too) and his hobbies (plays rugby, the odd round of golf and is a member of a film club). She could remember his close-shaven hair and the way it invited her fingers to stroke it (which thankfully she had fought), the wide smile that had oddly put her at ease despite his evident hotness, and his eyes. His eyes were probably her favourite part about Spencer. They were so warm and friendly yet mesmerising. So much so that she’d almost refilled his lap with tea instead of his cup. ‘What was his name?’ Enid was pacing the floor now, her fingers cupping her chin as she tried to pull the name from somewhere. Enid shook her head. She hadn’t a clue what Mrs Freeman was banging on about. Kat’s hand froze on the counter as the door tinkled open. She turned slowly and there he was. Spencer. Good grief, he was even more handsome than she remembered. ‘We were just talking about you,’ Mrs Freeman piped up. Kat dropped the cloth before she shoved it into the old girl’s chops to shut her up. ‘Oh?’ Spencer was now fully in the shop, seeming to fill the small space with his bulk. Kat couldn’t tear her eyes away. Kat wanted to die. She pleaded with Enid telepathically, begging her to zip it. ‘You got them, then?’ Spencer turned to Kat, but she was too busy examining the floor tiles to notice and it was Enid who answered on her behalf. Kat was still admiring the tiles. They were very nice tiles that she could stare at forevermore. ‘Enid!’ Kat finally tore her eyes away from the tiles. What was the mad woman doing? Kat was sure she could come up with a dozen excuses if she’d been given a minute. Which was why Enid had bulldozed her into it. ‘I’ll pick you up at seven then,’ Spencer said, looking from Kat, to Enid and back again, not sure who he should be talking to. Kat rubbed her ribs as Spencer turned to leave. Was it really possible that this man liked her? He had gone out of his way for her this morning – twice. You can win the chocolate pictured above by filling in the rafflecopter form below. The giveaway closes at midnight on Wednesday 23rd of April. The winner will be picked at random by rafflecopter, notified by email and then announced on the blog on Thursday 24th April. This is a UK only giveaway. I'm rooting for them too! I enjoyed that! A nice little break in my day. And, as fa as chocolate is concerned, I love Fererros or anything that includes nuts. Thanks Kayleigh. I enjoyed writing it! I'm hoping we'll see Kat and Spencer again some day. Aww, that was such a lovely story! You're great at short stories, they're always completely satisfying but leave you wanting more! Favourite chocolate... an impossible choice! Ferrero Rocher and Reeses Peanut Butter Cups, followed by anything Cadburys! Caramel, Creme Eggs, Boosts, Buttons, that new Ritz stuff... the list is endless! Funny you should mention Reeses, as that was where Kat's surname came from (and Kat was from Kit Kat). I wanted her to have a chocolate-themed name! Chocolate orange :) Love the story! Great short story! I don't have a favourite, just love all chocolate! Roses! I love British chocolate and miss it! I love any mint chocolate.